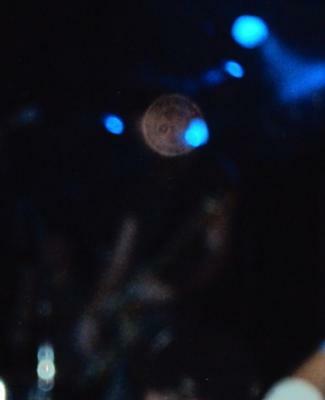 Editing photo's from the concert and I think this is the guitar player from Civil Twilight, only it's not his head. Appears to be an orb and if you look closely there's a face. Too small to be the guitarists head... unless a shrunken head, like Beatle Juice. In light of this discovery I decided to google the history or "hauntings" of the Masquerade and found this site. Thought I'd share!